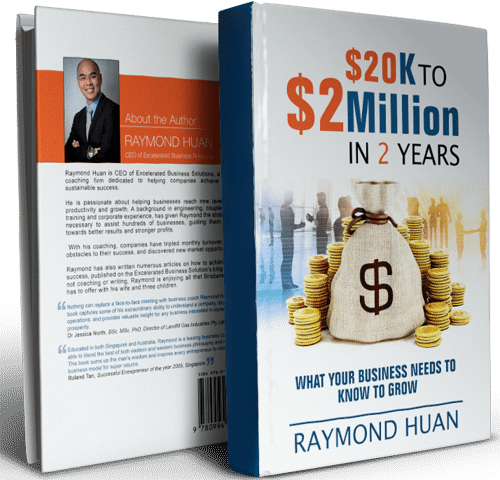 Discover the challenges growing businesses faces and how to overcome them. After three short months, we estimate an increase in profit of approximately 30%. Not all Business Coaches / Consultants are equal. that takes a Different Approach. in a single year to our business clients. 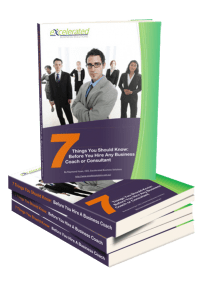 Before you engage in business coaching, download our FREE Special Report: “7 Things You Should Know Before You Hire Any Business Coach or Consultant!”. Not all Business Coaches and Consultants are the same. 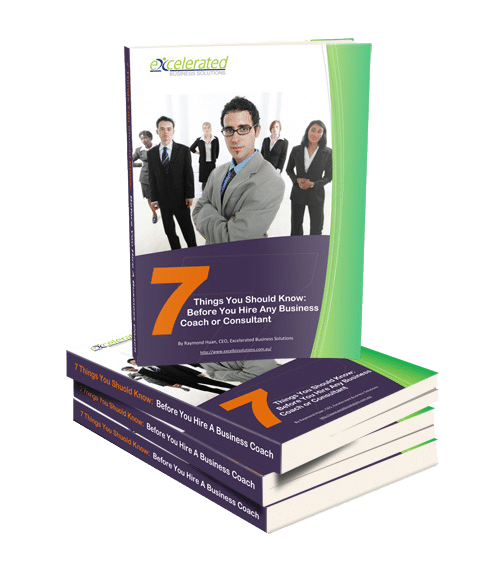 This report will help you determine what you should be looking for and how to find the right coach to match you and your business. Our Brisbane business coaching team will work with you to improve and grow your business. We are with you through the ‘thick and thin’ of growing your business while providing a combination of Business Coaching, Business Mentoring, and Business Consultant services. Please feel free to explore our website. No matter how well intentioned you are as a business owner, you cannot view all aspects of your business objectively. Those who are ready for greater success recognise that they possess inherent biases, limitations, and business prejudices. We look forward to assisting your business achieve greater results. We not only have the experience and expertise in business but have also shown a ‘care factor’ for the people and business whom they work with. Proven success with testimonials which reflect a wide variety of businesses that Excelerated Business Solutions has worked alongside with. Clients, who, enthusiastically state that we provide them with straightforward, down-to-earth, objective recommendations that work. Business solutions that help grow your business do not have to be a complex, timely or costly process. 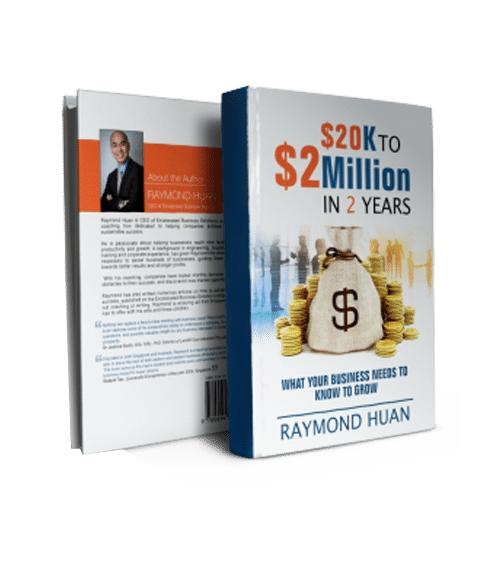 In most cases, you simply need to execute a well-developed plan, jointly created with the input of someone like a business coach who can objectively help you develop the right approach. At the start, a business consultant will look at the ideal plan for your business growth. This will very much depend on a range of factors your business is exposed to, such as market conditions, availability of resources, competitive advantage, and even your personality as the business owner. As a high-performance Brisbane business coaching team, we have had the privilege to work with multiple businesses across a wide range of industries. By using the expertise that is brought about by being in a team, we have been able to deliver benefits to businesses, and these benefits have translated into improved financial results for them. Excelerated Business Solutions has been helping business owners expand their companies in most effective ways for more than 10 years – helping them take their businesses in new directions and into new markets, improving processes, streamlining workflows, and increasing revenue and profitability. If you’re looking to engage a high-performance Brisbane business coaching team, contact us today for a FREE no-obligation consultation. This first consultation will allow us to get to know each other, determine if we’re a good fit, evaluate your current situation and discover what opportunities there are. We are confident that you’ll receive immediate value! Sign-up for our newsletter below or contact us here. Join our newsletter to receive updates & business tips. *Common sense terms and conditions apply. Copyright Excelerated Business Solutions. All rights reserved.